Although l-3,4-dihydroxyphenylalanine (L-DOPA) is currently the most effective medication for treating Parkinson’s disease (PD) motor symptoms, its prolonged administration causes several adverse effects, including dyskinesia. To identify the mechanisms underlying the effects of acupuncture on L-DOPA-induced dyskinesia (LID), antidyskinetic effects of acupuncture were investigated in two mouse models of PD. Acupuncture stimulation at GB34 alleviated abnormal involuntary movements (AIMs) in Pitx3-deficient aphakia mice (ak/ak) following L-DOPA administration and these effects were reproduced in 6-hydroxydopamine (6-OHDA)-lesioned mice with LID. A transcriptome analysis of the hypothalamus revealed pro-melanin-concentrating hormone (Pmch) gene was highly expressed in acupuncture-treated mouse from ak/ak model of LID as well as 6-OHDA model of LID. Acupuncture combined with the administration of MCH receptor antagonist did not have any beneficial effects on dyskinesia in L-DOPA-injected ak/ak mice, but the intranasal administration of MCH attenuated LID to the same degree as acupuncture in both ak/ak and 6-OHDA mice with LID. A gene expression profile with a hierarchical clustering analysis of the dyskinesia-induced ak/ak mouse brain revealed an association between the mechanisms underlying acupuncture and MCH. Additionally, altered striatal responses to L-DOPA injection were observed after prolonged acupuncture and MCH treatments, which suggests that these treatment modalities influenced the compensatory mechanisms of LID. 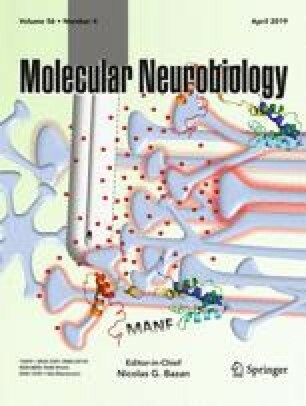 In summary, present study demonstrated that acupuncture decreased LID via hypothalamic MCH using L-DOPA-administered ak/ak and 6-OHDA mouse models and that MCH administration resulted in novel antidyskinetic effects in these models. Thus, acupuncture and MCH might be valuable therapeutic candidates for PD patients suffering from LID. The online version of this article ( https://doi.org/10.1007/s12035-018-1194-6) contains supplementary material, which is available to authorized users. HJ Park designed experiment and wrote, edited, and revised the manuscript. J Kim and SH Jeon designed experiment and revised the manuscript. YK Kim, AR Lee, and H Park performed experiments. S Ahn and J Yoo analyzed and interpreted the data. YK Kim, AR Lee, and HJ Park contributed materials and method tools. YK Kim wrote the draft. All authors had input into the manuscript and have approved the manuscript for publication. This research was supported by grants from the National Research Foundation of Korea funded by the Korean government (NRF-2017R1A2B4009963) and from the Korea Institute of Oriental Medicine (grant K18182).